Haul a huge payload with ease in the GMC Savana cargo van. 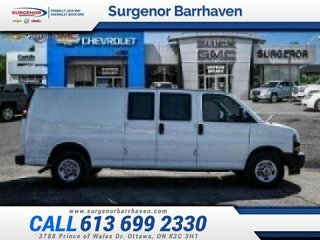 This 2018 GMC Savana Cargo Van is for sale today in Ottawa. 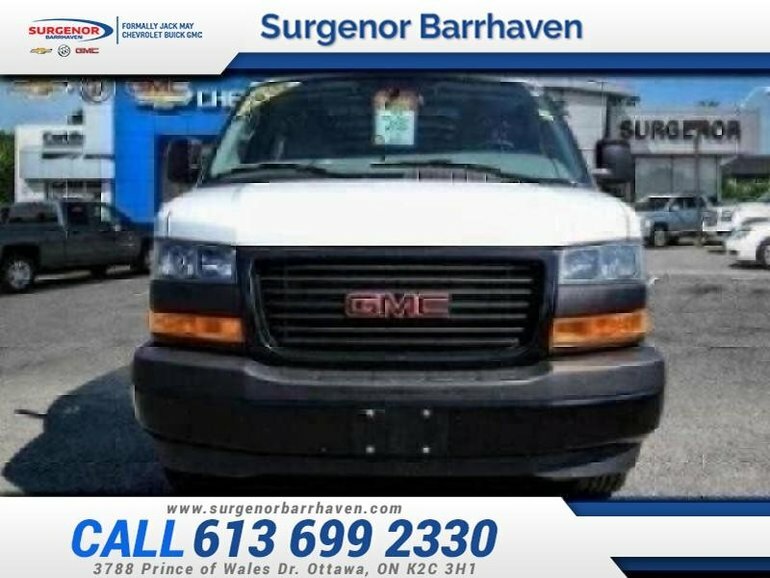 If you need the capability of a truck, but a van body would come in handy, then the GMC Savana is perfect. The Savana is an old school work van that's thoroughly modern. This cargo van can haul a ton of payload and be customized to be a perfect fit for your business. It's just as at home on the highway as it is on the worksite. The GMC Savana is a no-nonsense work van that gets the job done. 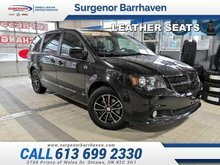 This low mileage van has just 17320 kms and is a Certified Pre-Owned vehicle. It's nice in colour and is completely accident free based on the CARFAX Report. It has an automatic transmission and is powered by a 4.3L V6 12V GDI OHV engine. This vehicle has been upgraded with the following features: Air Conditioning, Power Doors, Power Windows. It has a certified used vehicle warranty for added peace of mind. Buy this vehicle now for the lowest bi-weekly payment of $204.79 with $0 down for 84 months @ 6.99% APR O.A.C. ( Plus applicable taxes - Plus applicable fees ). See dealer for details. 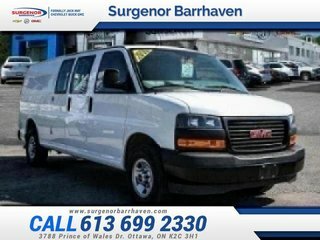 Interested in the 2018 GMC Savana Cargo Van WT - Certified - Power Doors - $204.79 B/W ?